Description: Sexes similar. 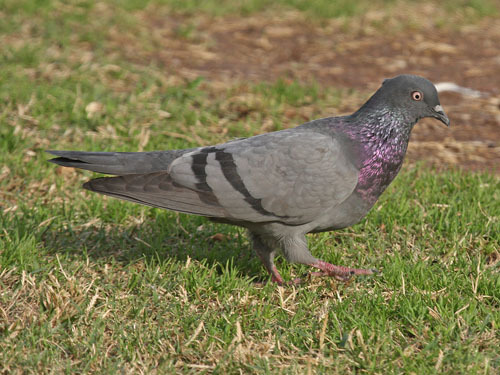 The familiar city pigeon. Plumage is highly variable: from pure white to brown-red, slate black, and piebald. 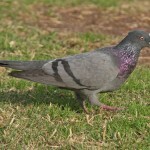 The most common plumage is blue or ash-gray overall, with a white rump, dark terminal band on the tail, and iridescent green and purple area on the neck. 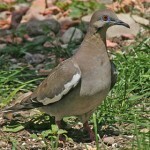 Habitat: Mostly found near humans in cities and farms. Where in Nebraska: Introduced permanent resident across the state. There is a limited feral population around the bluffs and cliffs of western Nebraska. Status: Introduced from Europe by early settlers and is now widespread and common. Fun Facts: Baby pigeons are called squabs. 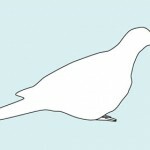 Pigeon crop milk contains more protein and fat than cow or human milk.